Thanks to everyone who came out to see our spring shows. We had wonderful audiences and great response from everyone. It really was a treat to put these productions on for you all. And thanks to the lovely folk at the Apollo for helping us make the run go so smoothly. We put a lot into these shows and thanks to all those behind the scenes who made it happen. 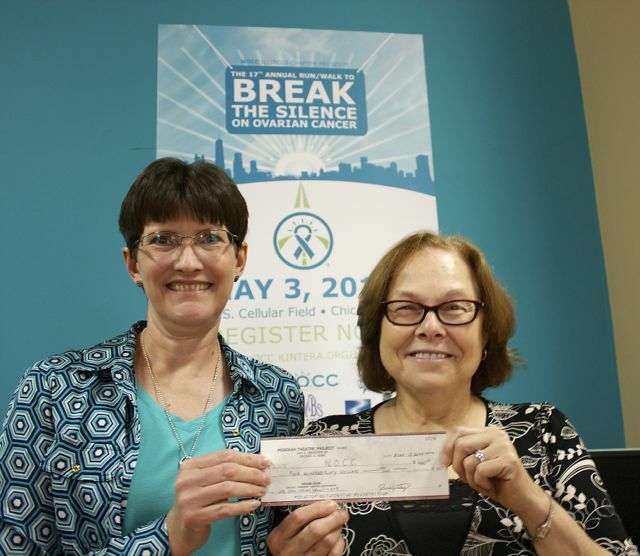 Last Wednesday, Paul, Patricia and James met with the ladies of the Chicago chapter of NOCC (the National Ovarian Cancer Coalition) to present them with a check for $460, 10% of our ticket sales. We were delighted to be able to give them this and help them with their excellent and essential work, which is to raise awareness and early detection of ovarian cancer. And you were the people who made it possible for us to give them the money. So, thanks to you again our supporters and audience, spread the word and watch this space for our next projects. 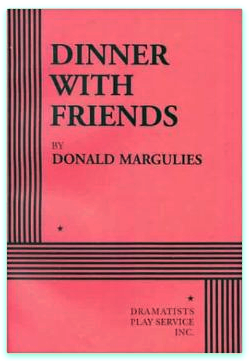 7:30pm tonight at the Apollo Studio Theatre - Dinner with Friends, directed by Darrelyn Marz, starring Jamie Birkner, Carol Ludwick, Scott Olson and James Sparling. Call the Apollo Theatre hotline (7 days a week) 773.935.6100 for the best deals, or just get tickets at the door! 7:30pm tonight at the Apollo Studio Theatre - The Gin Game, directed by James Sparling and starring Paul and Patricia Tinsley. We are delighted to announce proud partnership with Barn and Company, fine BBQ food, ribs, pulled pork, burgers, just three minutes from the theatre, ideal for eating before and drinking after the shows. 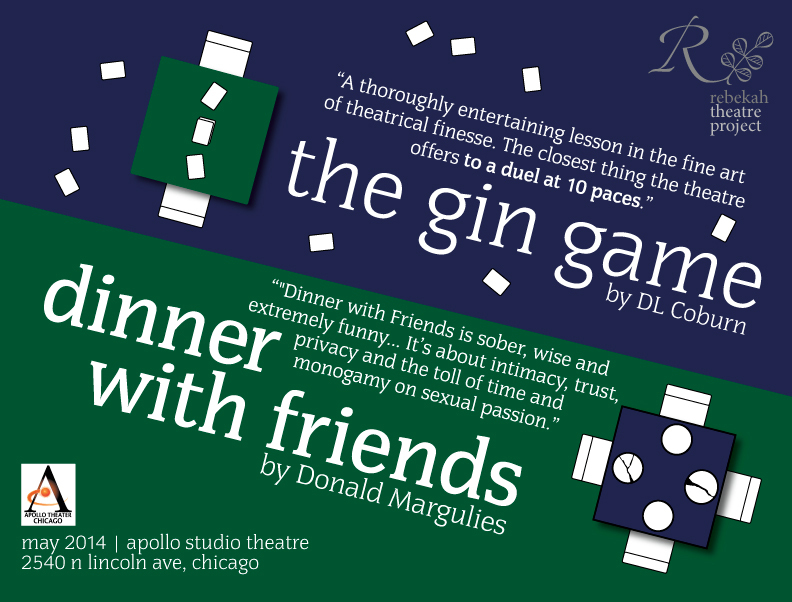 Okay, tickets are now on sale through the theatre box office for The Gin Game, directed by James Sparling and Dinner with Friends directed by Darrelyn Marx. Call the Apollo Theatre hotline (7 days a week) 773.935.6100 for the best deals. Special deals are available. Just ask when you call. There are only 10 performances of each show, check out our events page on facebook for details. We're having a lot of fun getting down to work on our spring shows. We'll be posting some pics up here soon and tickets will be going on sale very soon. there are only 10 performances of each of the two shows, so you'll be wanting to get your tickets as soon as you can to avoid disappointment. We'll be offering presales to our friends and associates in the next few days, make sure to check back here and on facebook! There will be 10 performances of each play on alternating Thurs, Fri, Sat, Sun starting May 1 at the Apollo. Thanks to everyone who came to audition, now to work! Tickets will be available for our friends and donors shortly, directly from the venue before the tickets go on general release on ticketmaster. Rebekah Theatre Project is looking to cast one male and one female for the roles of Karen and Gabe in their spring production of the Pulitzer Prize-Winning play “Dinner With Friends” by Donald Margulies. Age range of 40 to 50. The production will be directed by Darrelyn Marx. Rehearsals will run from the second week of March to the end of April and will take place in the Rogers Park/Andersonville area. Our spring shows will run from May 1 to June 1 at the Apollo Studio Theatre, Thursday through Saturday at 7:30pm and Sunday at 2:00pm. To be considered, please send resumé and headshot with cell phone and email address to james@rtp-chicago.org by January 30. Auditions will be by invitation on Sunday February 2 at Cornelia Arts Studio - 1800 W. Cornelia Ave, Chicago from 1:00pm to approximately 5:00pm. Please state your preference by indicating 1-2pm, 2-3pm, 3-4pm. You may be asked to stay longer as we do not intend to do callbacks. Time and sides will be sent to you, you do not need to prepare a monologue. Sides need not be memorized and you may be asked to read with several different partners. We've just heard back from the relevant rights people and we're delighted to announce our spring season. 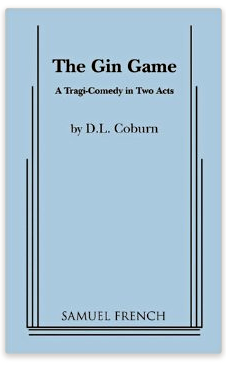 (plays performed with kind permission of Dramatists Play Service Inc and Samuel French Inc). Read our co-artistic director's piece in today's edition. As the freeze departs and the mist rises we can begin to put our heads above the parapet. We've have a lot of exciting things planned (and several unplanned, and a few not even dreamt up yet) for these next twelve months, that we like to call 2014. As always we need your support. So make sure you're following our twitter feed, liking us on facebook and occasionally clicking on the donate now button that appears over there on the right hand side of this page. Despite the last minute revelation of the worth of the 'cookie jar' it turns out the building was structurally unsound and shortly after 5:30pm Sunday June 23rd, the wreckers moved in with a demolition notice and Harry's Halfway House was raized to the ground. Thanks to all who visited in the building's last few days and hours. It was much appreciated. Great couple of weeks, thanks to all that's turned out. We've had some wonderful feedback, great talk backs with the author and some magic has been happening on stage. There's many options to buy your tickets. From Brown Paper Tickets, an ethical and friendly ticket service, over here (industry tickets are available through them enter password INDTICK). Call our reservation hotline 312 544 0002, leave a message, how many tickets for which performance and we'll only call you back if there's a problem. See if there are any special offer tickets left on Goldstar. There were a few left at $5 for most nights, but they're limited. Turn up and buy the tickets on the night. That's fine by us and we take credit/debit cards. 3. FIND A POSTCARD and BRING IT and SAVE $5. 4. GOLDSTAR, GET THEM WHILE YOU CAN OH-MY-GOD-WHAT-ARE-WE-THINKING only $5 tickets! We need your help! We've just launched a new funding campaign via indiegogoto try and reach a goal of $3,000 in three weeks, to help pay for promotion and production of our next show Harry's Halfway House. There are incentives, such as great ticket deals, mugs etc to thank you for getting involved. We have a great show coming up and we need to spread the word, with posters/flyers/adverts etc. So take a second and have a look at our campaign, we'll keep this update funding panel on our home page so you can all see how we're doing, and throw us a little bit of cash to help us along! Okay, so rehearsals are now underway for our spring production, the world premiere of John C Davenport's play Harry's Halfway House. We're performing it at the City Lit in Bryn Mawr from 30th May, - 23rd June 2013, 8pm Thursday-Saturday, and 3pm on Sundays. Tickets for the first performances are AVAILABL E NOW!! Happy New Year! Or happy new month, it's Feb already... jeeps. Okay so we're in planning for our next show which will be going up in late spring, more details to follow. We'll be hoping to build a groundswell of interest. Watch out for that. The show is the World Premiere of Harry's Halfway House by John C Davenport and we're collaborating with the writer to make sure it's an amazing show. Venue and dates to be announced soon. The Shadow Box has now closed after a stella final weekend. Set is down, it's as if we were never there! Thanks to everyone who supported this show and helped make it such a great success. If you saw the show, please keep in touch by following us on facebook and twitter and in the meantime, hug your loved ones a little closer this holiday season and we'll see you all around in 2013! Special offer for Raven subscribers $10 off! If you are a Raven subscriber, you can get into The Shadow Box for only $15, that's a saving of $10. Click the link below and choose Raven Subscribers. Review in from the Chicago Reader... and they've gone and Recommended us! What further reason do you need to come? How about this...? "(FIVE STARS) I saw this on last Friday, and it was amazing. The staging was very well done. The sets were marvelous. The actors were very powerful. The play shows three distinct "families" in the worst possible situation: the last stage of a cancer battle. The two ladies, with the Momma in a wheelchair were the most poignant. Those two ladies captivated me even when it wasn't their turn. The center section were three great actors in some bizarre gay love triangle. The woman who played Beverly completely stole the entire show. She was bubbly and obtuse, yet very motherly to the younger gay actor. There are some really great performances all around. It's a shame that more people aren't going to this, as it was opening night and they had less than half capacity. This theater company donates 10% of their ticket sales to a cancer-charity, so thier hearts are in the right place. I wonder how long they can keep that up without some angle funders. You can get tickets here from Brown Paper Tickets. Okay here it comes folks... Tickets are now on sale via Brown Paper Tickets. The poster is up at the Raven Theatre. And we've annouced our special preview night fundraiser. If you can come on Thursday for our preview, you can give whatever you like as long as it's at least $10. 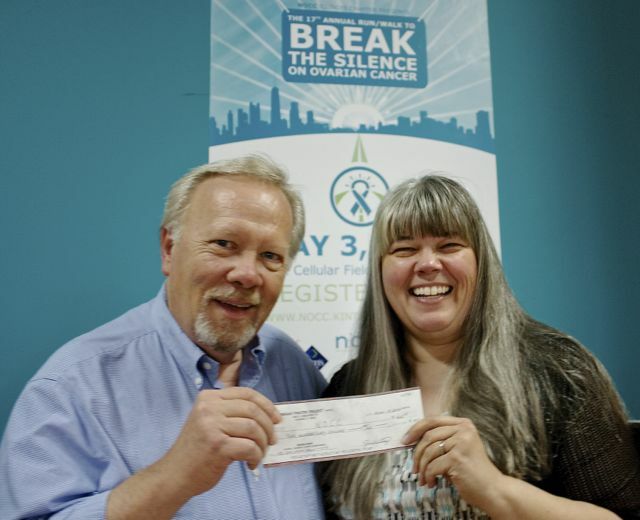 10% of anything you give will go straight to our cancer charities. So please come along Thursday 29 November, 2012 at the Raven if you can and then come again once the show opens properly. We move into the venue tomorrow, and get the set, lights and everything going. It's gonna be exciting. The Shadow box rehearsals are boiling up nicely.... Just two weeks until we open our first show, The Shadow Box. Tickets are available from boxoffice@rtp-chicago.org; or 312 544 0002 or online here. We've now got an events page for the show on facebook here and we've just put up some rehearsal shots to give you a flavor of the piece. We have also started a twitter feed – follow us @rtpchicago. Thanks for stopping by. We are a brand new theatre company set up by Paul and Patricia Tinsley in memory of their daughter Rebekah who died last year from uterine and ovarian cancer. We aim to put on engaging plays which stimulate and challenge artists and audiences alike and to give something back to the community through our ticket sales. 10% of all ticket sales will be donated to women's cancer charities to help make sure no-one else has to lose a daughter, wife or mother. We know that cancer touches everyone and we'd like you to share your stories with us, click here to read what other people have experienced and add your own story. Our first play is in production, read more below. We are a new company and we're looking for help and friends across the Chicago community; find out more about how to get involved here. We've just started rehearsals for Michael Cristofer's award-winning The Shadow Box directed by Toma Langston. We'll be keeping you up-to-date with the rehearsals process. Tickets are on sale now for the first three weeks performances here.